Rachel Piper is the policy manager at Student Minds – the UK’s student mental-health charity. Her work at Student Minds focuses on tackling inequalities in student mental health, through research, policy and working in collaboration with other organisations – ensuring that we can influence meaningful change to improve the mental health, and how those with mental health difficulties experience university. Rachel leads on ensuring that student voices and lived experience are at the heart of policy initiatives surrounding mental health. She has written various reports on student mental health looking into areas such as the role of accommodation. 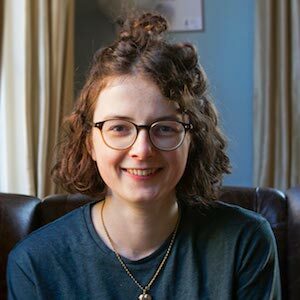 As part of Student Minds’ contributions to the Universities UK’s Mental Health in Higher Education programme, she has facilitated student engagement events such as the Student Voice Forum, and subsequently published the report: Student Voices in the development of a whole university approach to mental health and wellbeing. Rachel writes for Huffington Post and WONKHE. She has appeared on ITV News, Sky News, BBC Five Live, BBC Essex and Woman’s Hour – advocating for student mental health.